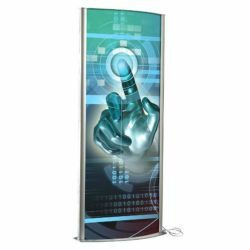 Aluminum poster rails achieve a cost effective alternative for hanging posters, banners, and other signs in a free floating position indoors. 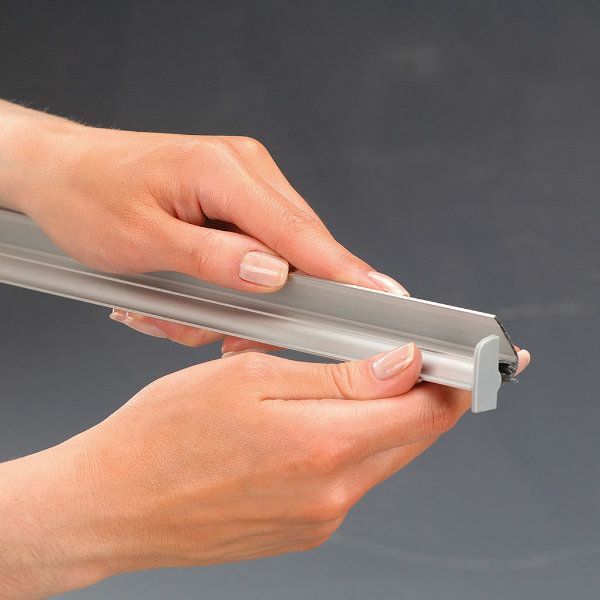 Poster rails do not use the traditional snap lock design of standard picture frames, but offer a light weight and affordable mechanism for presenting wall hangings indoors. 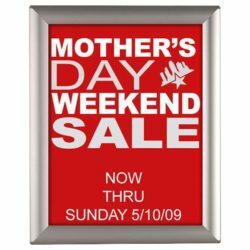 The low cost banners are typically positioned as window picture hangers in display areas behind the glass front of commercial retail stores. In this way, the need for additional acrylic or perspex protective coverings is eliminated. 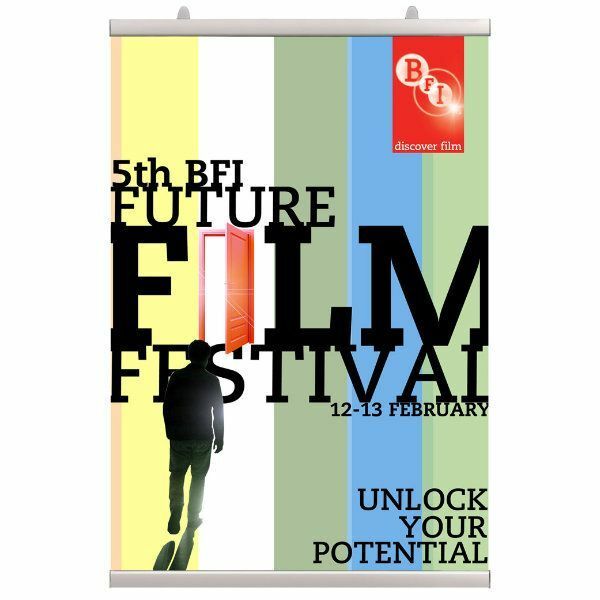 Simply insert the poster or other graphics between the top and bottom rails to secure a contemporary and elegantly displayed marketing campaign. 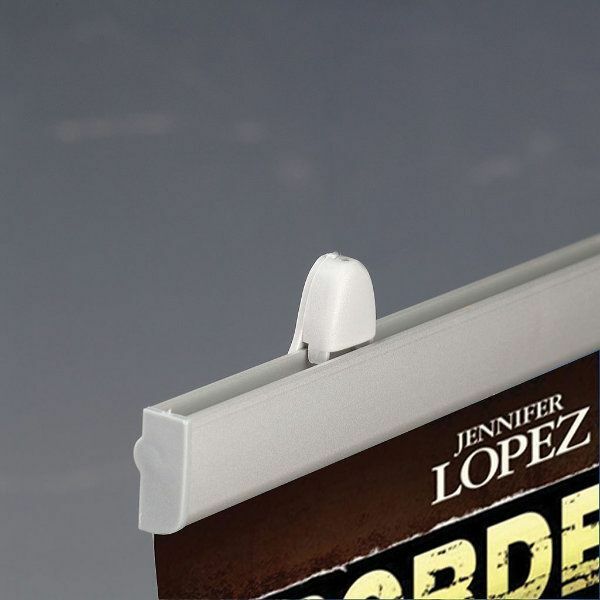 As indicted by the open design of the indoor hanging sign , the poster rail is easy to manoeuvre and manipulate and requires little effort to remove and replace images and other graphics. 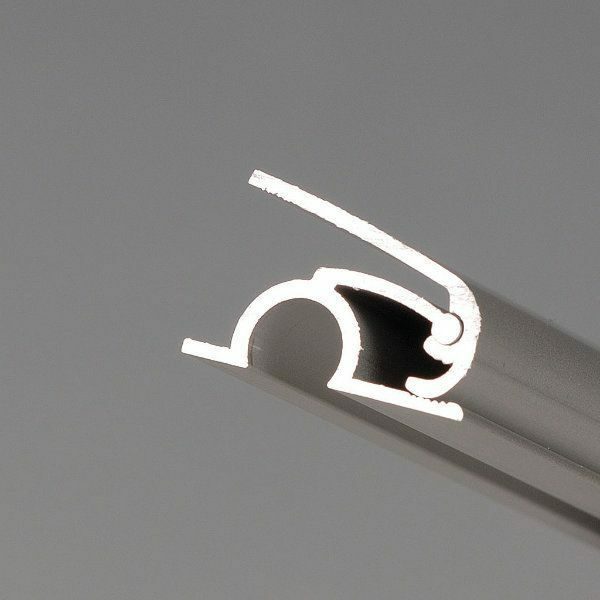 The banner grip hanging rails open by manual application with little force required. Once the new posters are inserted (the poster rail is a double-sided poster holder that can accommodate either one or two images), the rails take grip of the poster(s) and ensure your graphics are safely positioned without risk of movement or destabilisation. 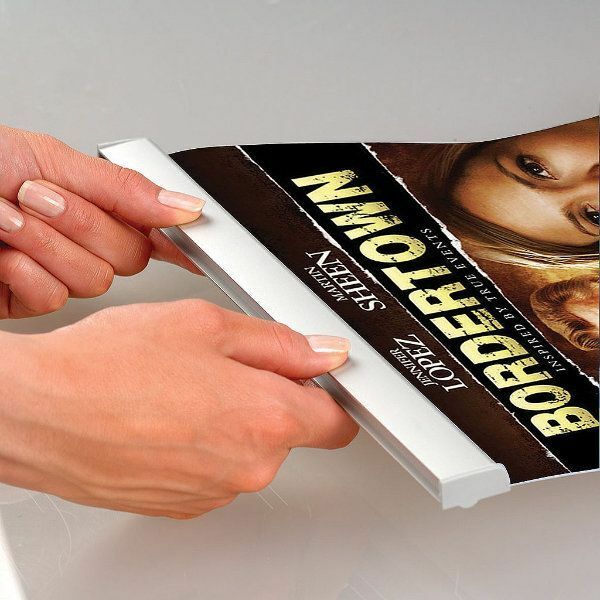 Please note approx 1/16″ border of poster would be grasped in the profile and would not be visible after profile closure. Turning end caps on both ends help to slide poster in the profile with no effort. Adjustable moving hangers are suitable for wall mounting and ceiling suspension applications. 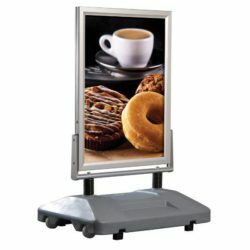 Poster hanging rails in this model are not recommended for use in special sizes wider then 39″ or longer then 79″. 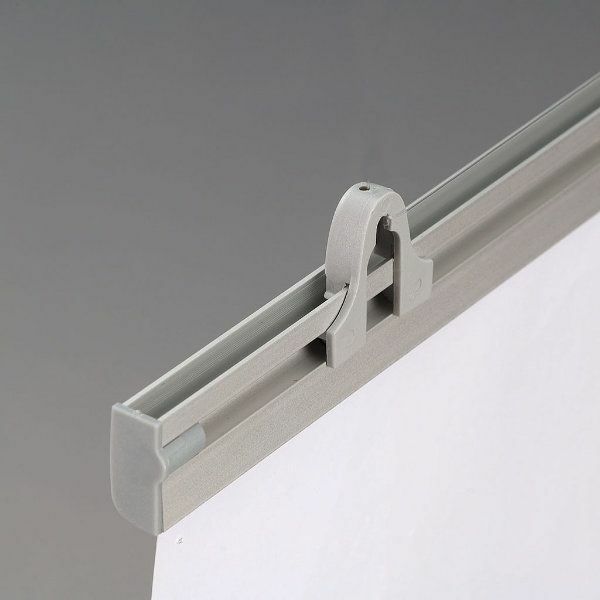 The poster clamp hanging rail is manufactured in an aluminum finish and is available in a wide range of sizes. The banner grip rails have been tested for longevity and may be reused and recycled for any number of promotional activities or advertising campaigns. 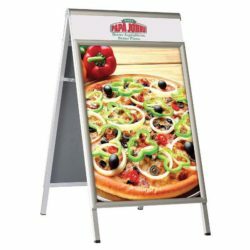 As an example, the aluminum poster rail has previously been purchased by clients interested in creating signage for restaurants, schools, hospitals, markets, banks, gas stations and cinemas . 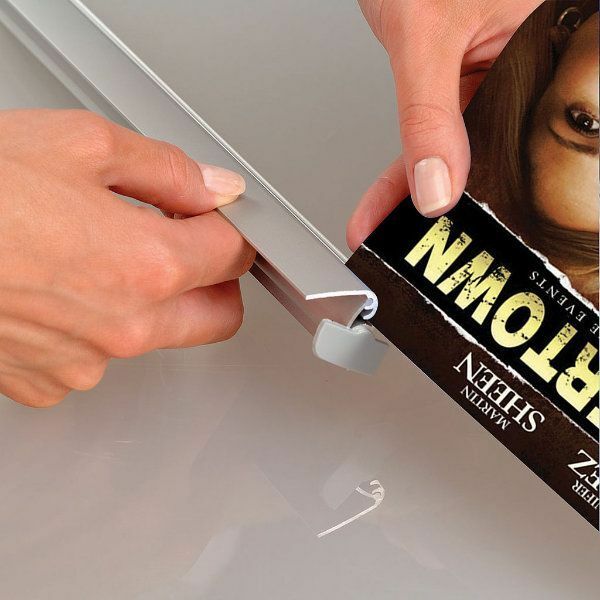 Application, however, is limitless and you are guaranteed to capture the attention of any audience with the use of these affordable sign hangers .